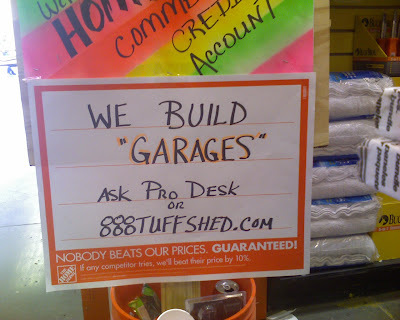 I'm beginning to think this is a viral marketing ploy by home depot. I guess they build some things that look like a place to keep your car, but are good for other things. Thanks, Jennifer. Well, lots of Americans never put their cars in their garages. They just store old crud there.